Fiona is currently working at the London Regional Cancer Program as a Primary Nurse for various patient disease site populations. She also works with Dr. R. Kim in the Personalized Medicine Clinic which provides pharmacogenomic counselling for patients receiving chemotherapy and endocrine therapies. 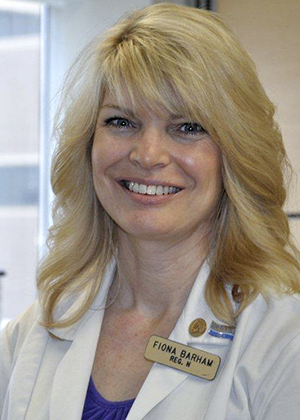 Not only did Fiona gain a vast understanding of oncology but the de Souza Nurse Designation program included specialized training that helped her earn a role with the Personalized Medicine Team. She uses her designation experience to continue learning and initiating change within her area in oncology nursing and beyond.